So when next you see something good happen in the industry, celebrate. It will become a trend. When a bad situation arises, then there's genuine need for concern. We are more connected than we love to admit. Almost all the time, when a new artist hits me up with new music, there’s a huge possibility that he sounds like someone else. That’s because the Nigerian music industry is extremely connected in diverse ways that everything and everything that happens to one person, happens for another. A good example is this international push by Nigerian pop stars. Ayo Jay got a deal to re-release his ‘Your number’ single from RCA Records. Tekno got his too from Columbia Records for ‘Pana’. 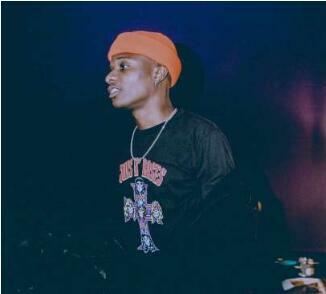 Wizkid and Davido grabbed deals from Sony, spearheading the spotlight on pop sounds from the continent. Look at the music. The industry is currently being dominated by mellow dance-pop, with a strong infusion of Highlife. It’s a trend that can be traced back to Kiss Daniel’s ‘Woju’, and accelerated by Mr Eazi’s brilliance of 2016. But it has spread quickly, and become the standard of what radio-friendly pop music should sound like. Pop culture would call it the new wave. But it’s deeper than that. It’s a function of how connected we are. Once something comes into the scene, it generates an energy that is absorbed by everyone, and begins to manifest in the behaviour and decisions of all the players. Check out the start of 2016. Olamide and Don Jazzy brought in beef at the Headies. The rest of the year followed a similar path. Colleagues rose against each other. Fights rang all around us, and the dominant energy was negative. Beef was just around the corner. Why that happened was because two of the most celebrated creators of music engaged in it, and so it trickled down. That same energy is floating around now. It’s like déjà vu. Wizkid and Davido began a shade war, which has dominated the industry for a couple of weeks. 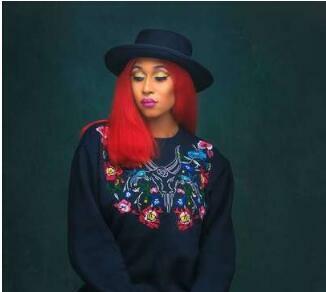 The energy released from that battle has spread, leading to Tekno, Cynthia Morgan and MC Galaxy exhibiting similar behaviour. Two leaders of the industry battling has made it acceptable for everyone else to join in. Which is why musicians need to know that there’s a great responsibility on their shoulders to drive the culture in the direction that they want it to go. No one act is isolated. No deed is made in a closed environment. Everyone is connected. We feed off each other for ideas, for influence, inspiration and just about everything else. So when next you see something good happen in the industry, celebrate. It will become a trend. When a bad situation arises, then there’s genuine need for concern. It’s coming home to you in ways that you cannot explain. We are all one. We are all together.